I put this pipe on a JATO with an O.S. 18. The pipe looks great and sound incredable, but, what ever you do , dont let the front end lift up on you. Also dont ever crash. 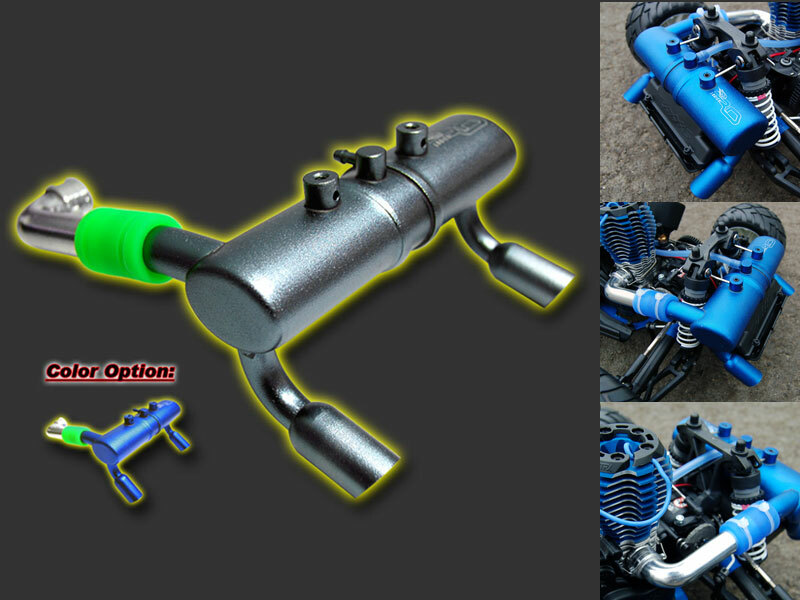 The pipe is made out of some real soft aluminium and the ends have a tendendency to break. The metal is soft enough that you can bend it right back into shape about 3 times then "snap" off comes your actual pipe end.